Over the five years we have been running the Candis Spa Awards, we’ve noticed a real culture shift in attitude, as more of us recognise the value of spending time and money on boosting or improving our health and well-being via more holistic routes. This has been reflected in the number and quality of spas opening across the UK as well as the upgrades and innovations to well-established spas. From the owners and managers who have a vision to bring the latest techniques to the UK and the staff who are dedicated to ensuring we leave rejuvenated, everything is focused on giving spa-goers the best experience. Why… Everything about your stay here is indulgent. The spa is absolutely beautiful, from the iridescent tiles in the pool with its heavenly log burner to the scented wood in the romantic state-of-the-art sauna. Signature treatment… Enrapture, 55 minutes, £85. Your therapist lets you choose your preference of massage oil from the exclusive Pure Alchemy range before cleansing and exfoliating your back ready for massage. Relax and enjoy the ultimate feeling of rejuvenation as stubborn knots and tensions are melted away. Also try… The Sensitive Skin Soother Facial, 55 minutes, £85. This works wonders on reducing any redness. The time passes in a haze of utter contentment as skin is cleansed, gently exfoliated and moisturised. Food and drink… The Stove Bar and Restaurant is open day and evening serving a whole host of meals, from light bites to gourmet offerings. The Wine Room has a modern cocktail bar boasting stunning views. We loved the complimentary tea, coffee, wine and beer as well as fresh scones in The Reading Room. Gold stars for… The glorious views over the Langdale Valley and the jackets, boots and maps that can be hired from the Bootroom to explore. We guarantee you’ll be planning a return visit for a future special celebration. Prices… A Brimstone Plush Room starts at £275 and includes breakfast, access to the spa and gym, and refreshments served in the Reading Room. All treatments are 55 minutes and cost £85. Why… From the moment you set foot in this gorgeous 17th- century Grade-II listed building, you will start to de-stress. The ambience, décor, staff and recently refurbished spa all combine to offer a fully relaxing experience. 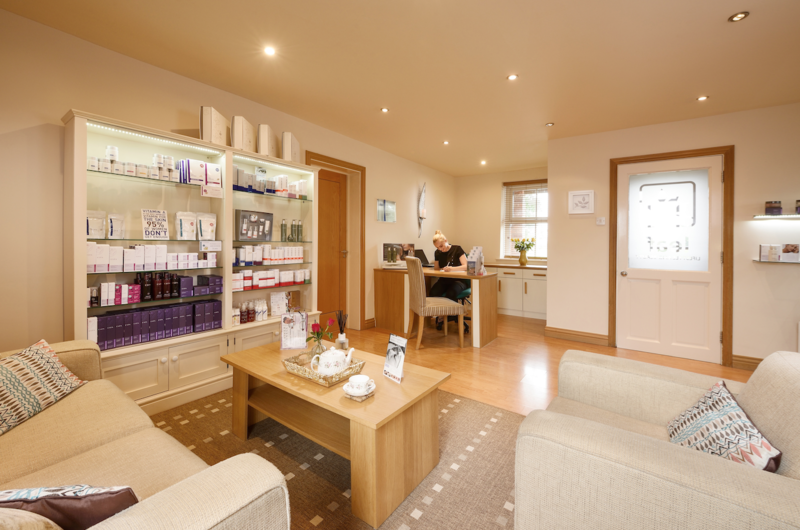 Signature treatment… Elemis Pro-Radiance Facial, 65 minutes, £95. 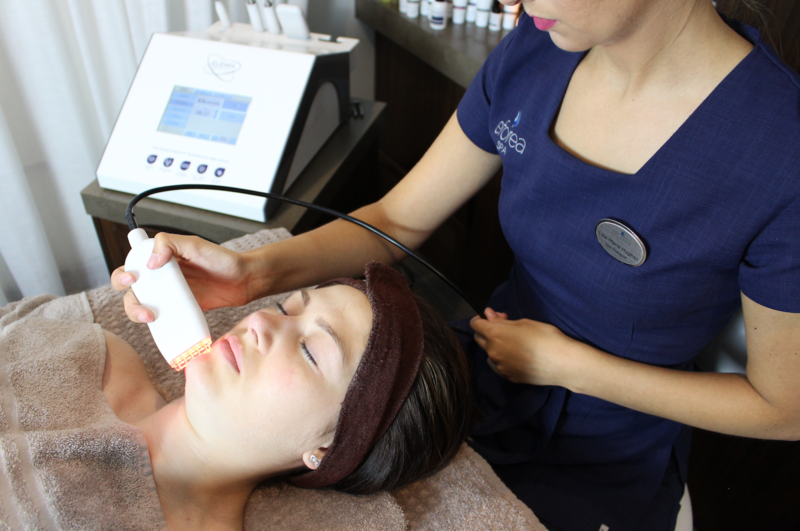 Heavenly from start to finish, this treatment uses the most famous Elemis products, including a peel-away amino active mask that isn’t available to buy, leaving your skin totally rejuvenated. Micro-circulatory massage and a variety of indulgent masks work to increase moisture levels by up to 61 per cent and elasticity by 40 per cent. My skin felt fabulous for days after. was deeply relaxing. The Elemis Japanese Camilla Oil – safe to use during pregnancy – and the gorgeous Aroma Works candle burning away quietly in the corner also adds to this luxury experience. We didn’t want to leave the treatment room. Food and drink… The food on offer in the pretty, pale grey French-style dining room is rich and indulgent and every dish was a treat. If you prefer lighter meals or afternoon tea then head to the bar/lounge area, which is just as welcoming. Gold stars… for The luxurious bedrooms and stunning gardens for exploring. The picturesque village of Stock has three fabulous pub restaurants within walking distance – highly recommended for a pre-baby mini-break. and full use of spa facilities. Why… A small but perfectly formed gem, totally focused on giving you the best experience possible. There is no pool here, but with the attention, treatment quality and the way the spa day is planned, you won’t miss it. A slice of heaven in the middle of the Cheshire countryside. Signature treatment… Leaf Signature ESPA Facial, 60 minutes, £60. This is personalised to match your scent preferences and skin needs. After a chat with your therapist and a scent test, the treatment begins with a massage to help lymphatic drainage. on a drizzly summer day, half an hour in this fabulous room set up as a sundeck on an ocean liner will boost your mood and your vitamin D levels using real sunlight. The unique Swedish sun simulator filters out harmful effects of UVAs and UVBs, but keeps the warmth and benefits as you relax with a drink in a balmy 28 degrees, enjoying the calming effect of both sunrise and sunset. Food and drink… Refreshments are provided throughout the day. The spa day package includes a light two-course lunch – chicken or salmon salad or cheese platter, followed by profiteroles or fruit – served in the Sunlight room. Gold stars for… No hustle and bustle, or gaggles of hen parties with piercing shrieks of laughter. But above all, the unrivalled excellence of the therapists who create a truly holistic experience. 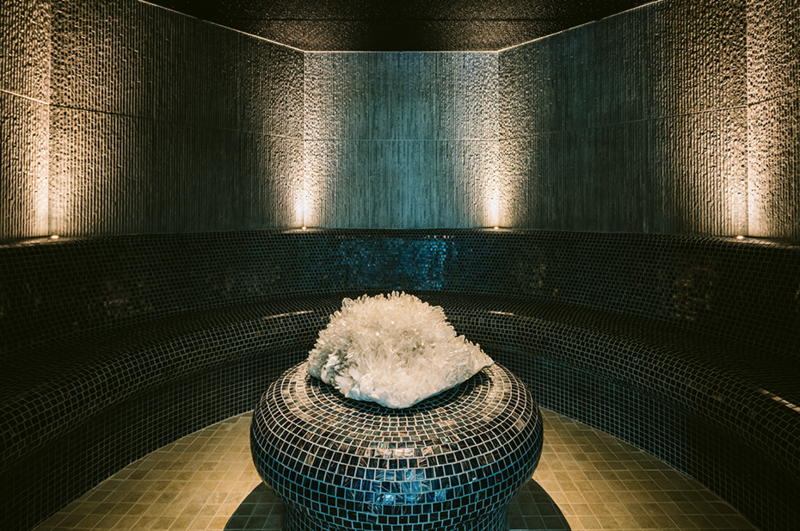 Prices… The Pure Bliss Relaxation package costs £115 and includes a back, neck and shoulder massage with hot lava shells, head massage or Thai foot massage, Leaf Signature ESPA Facial, refreshments and healthy two-course lunch. Why… Housed in the basement of this majestic Grade-II listed building, the Doubletree Liverpool Spa is a hidden gem on the edge of the business district in the heart of the city. The sweeping staircases and Corinthian columns set the scene for hours of luxurious relaxation. 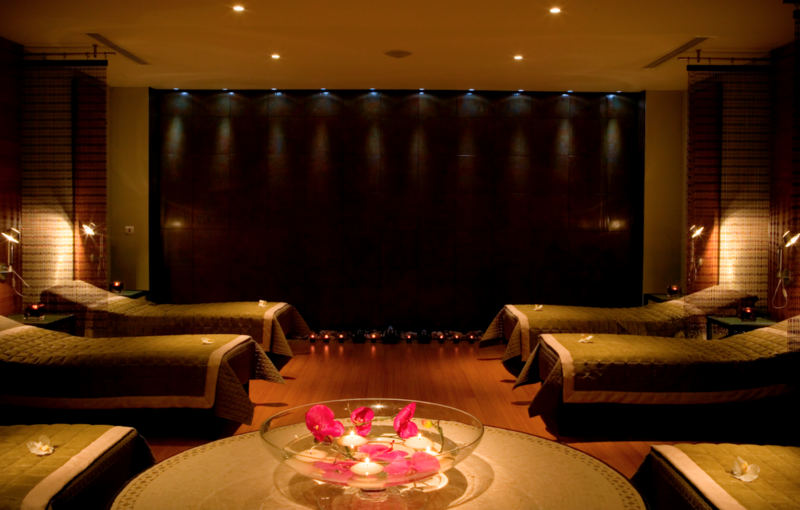 Signature treatment… The Liverpool Bliss Signature Treatment, 55 minutes, £70. Created by Elemis especially for the Eforea spa, this exclusive experience combines a deluxe body and facial treatment leaving you as relaxed as a ragdoll yet also rejuvenated. The treatment includes exfoliation, a soothing massage with a range of oils, a hydrating body wrap, scalp massage and express Elemis facial that leaves skin glowing. 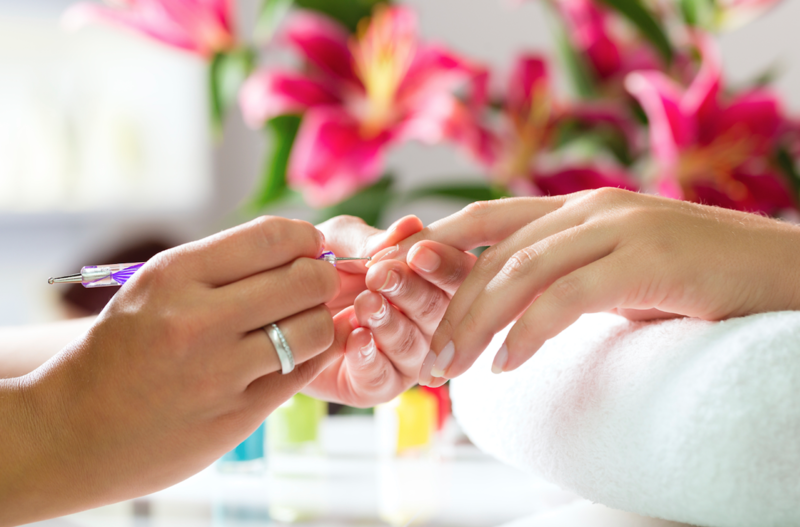 Also try… Adding a 30-minute ‘enhancement’, from £35. These are upgrade services and draw on holistic practices including Chinese acupressure, trigger point therapy, Egyptian reflexology and Native American spiritual healing. Food and drink… Take your pick between the vibrant Koukash Bar & Restaurant, or head to the 19th-century Library Lounge to grab a light bite or indulge in Champagne afternoon tea (£20). 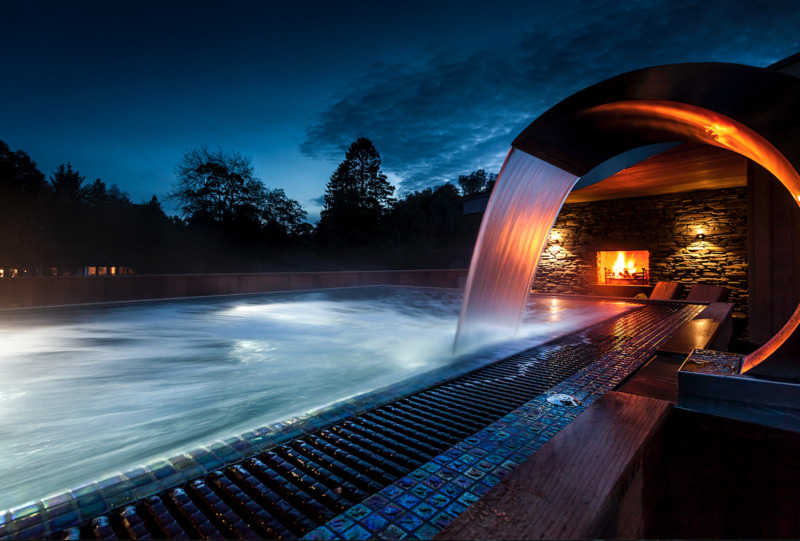 Gold stars for… The thermal experience – a 10-metre heated pool, whirlwind bath, aroma steam room and salt rock sauna. There is nothing more enjoyable on a cold and drizzly day to cocoon yourself in warmth before a long snooze in the relaxation room. 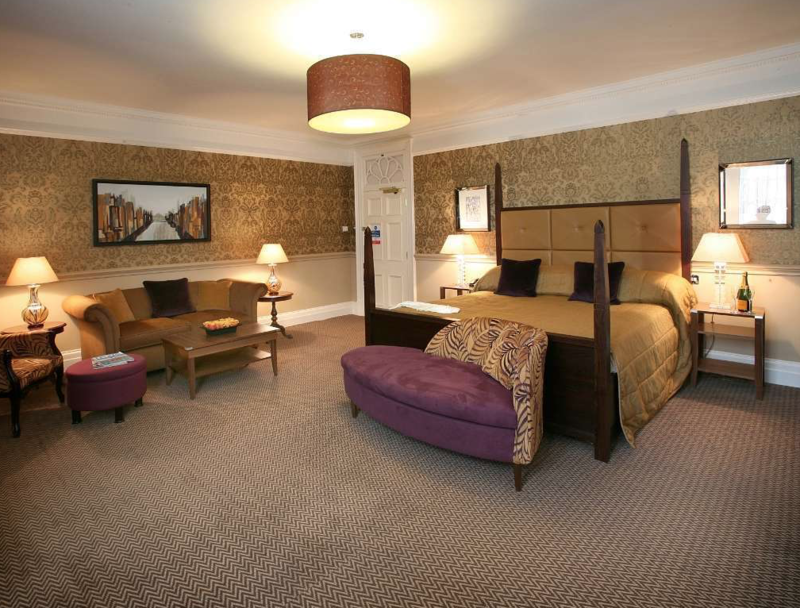 Prices… One night B&B starts at £199 per room (sleeps two). The Eforea Elite Spa Day (£160) includes an Elemis freestyle deep tissue massage, Eforea signature essence facial and afternoon tea in the Library Room. Why... Set in 38 acres of picturesque parkland bordered by the River Weaver, this Georgian mansion has retained much of the ‘Old Hall’ charm with its cosy lounges, elegant drawing room and a renowned 2 AA Rosette Restaurant. The spa is housed in the former stable block complete with 17m glass-roofed pool, heat facilities, rasul and gym. stones massage, and concluding with a bespoke intensive booster anti-ageing facial, this treatment was varied yet never rushed. The skill of the therapist combined with the aromatic-smelling Elemis products provided a deeply relaxing yet refreshing experience. Also try… Elemis Deep Tissue Muscle Massage, 55 minutes, £69. This treatment is customised to suit your needs – massage techniques are combined with blended essential oils to achieve the results you want. Choose from Stress-a-Way (soothing and relaxing), Spirit Reviver (uplifting and detoxing), Muscle Melt (perfect for sports soreness) and Chakra Balancing (to promote equilibrium). We went for stress relief which, combined with deep pressured, powerful massage, removed knots and tensions and was the ultimate wind-down. Food and drink… You can expect well-executed traditional British classics alongside modern dishes at The Restaurant at Rookery Hall. The Spa Café bar offers tasty dishes with a healthy focus. Gold stars… for The deep relaxation room – with its soft lighting, water wall and loungers with cosy blankets and pillows, it was a challenge to stay awake. Prices A classic spa break from £162 includes dinner, bed and breakfast, a two-course spa lunch and two 25-minute treatments. Why… Sympathetically created within the five-star Boringdon Hall Hotel, a beautifully restored Tudor manor house, the luxurious Gaia Spa is a truly stunning addition. Even without the spa, Henry VIII was a regular visitor and you can understand why as you relax like royalty in your four-poster bed or soak in the freestanding bath. Signature treatment… Gaia Raindrop Therapy Ritual, 120 minutes, £190. This heavenly two-hour ritual invigorates the mind and restores your body to its natural balance. You’ll feel a trickle of essential oils from your head to your toes as your therapist kneads and smoothes the skin to rid your body of toxins and everyday stresses. Indulgence in its finest form – we challenge you not to fall asleep. Also try… Gaia Jade Facial, 60 minutes, £90. This non-invasive facial uses the healing powers of jade crystal to encourage blood flow and awaken complexions. Get cosy and relax your mind as you’re pampered with a deep cleanse and exfoliation treatment followed by a head massage. Food and drink… The Gallery Restaurant offers exceptional fine dining, with the option of a five-course evening tasting menu. The Spatisserie is open until 6pm and offers healthier choices for breakfast and lunch. Gold stars for We were blown away by the Gallery Restaurant, from the attentive staff to the exquisite presentation and attention to detail in each dish. Prices… A Calming Break including a one-night stay for two with breakfast and one evening meal in the Gallery Restaurant, full use of spa facilities, plus one 60-minute treatment each starts from £349 per couple. Signature treatment… Clarins Deluxe Tri-Active Facial, 95 minutes, £98. Using Clarins PRO formula products, this luxury tailored treatment also includes a 20-minute soothing back massage, or a scalp and foot massage. So after over an hour-and-a-half of pampering you’ll probably sleepwalk to the nearest sofa, pull over a blanket and enjoy a mid-afternoon snooze. Also try… Blissful Face & Back Therapy, 50 minutes, from £68. Perfect for tired muscles, this Swedish-style massage to the back, neck and shoulders will improve circulation as well as ease tensions as the masseuse uses long strokes from the base of the back to your shoulders.And it doesn’t end there, as you’ll also enjoy a facial using Elemis products; an uplifting cleanse, tone and moisturise. Food and drink Eating at Ragdale is a heavenly experience. You can choose to eat healthily – with dozens of delicious salads and low-fat options – or treat yourself to three or four-course sessions. But we absolutely love that breakfast is served to guests in their rooms – a rare treat. Gold stars for… The new Verandah Bar has fabulous garden views and is the place to relax and enjoy al fresco dining. And we can’t wait to visit when the roof top infinity pool opens this coming summer. Prices An Overnight Reviver Break starts at £216 per person including meals, one treatment and spa use. Why… On the outskirts of the cathedral city of Winchester, Norton Park is set within 54 acres of peaceful grounds and – as part of the QHotel group – is dedicated to offering affordable spa breaks and treatments. All of which means you will leave in a state of total relaxation, without breaking the bank. Signature treatment… Rebalancing Ritual with ESPA, 60 minutes, £65. Restore equilibrium and total peace of mind with this indulgent three-in-one treatment. An express facial, tailor-made to suit your skin’s individual needs, is followed by a relaxing scalp massage working on your pressure points to ease away any tension. And then, just when you think it’s all over, there’s a wonderfully uplifting foot and lower leg exfoliation treatment and a deep massage to bring instant relief to tired feet. Also try… Relaxing Face and Back Ritual with ESPA, 60 minutes, £65. Combining gentle exfoliation and the heavenly aromas of ESPA aromatherapy essential oils, this back, face and scalp treatment melts away tension and leaves skin looking fabulously healthy. Food and drink… Enjoy a contemporary à la carte dining experience at Scene restaurant or head to the bar for a more relaxed lounge menu and a selection of afternoon teas. of Winchester, making Norton Park ideal for a long weekend break. Prices… Overnight spa breaks start from £105 per person including breakfast, lunch, dinner and one 60-minute treatment or two 30-minute treatments, plus a decent bottle of fizz per room.